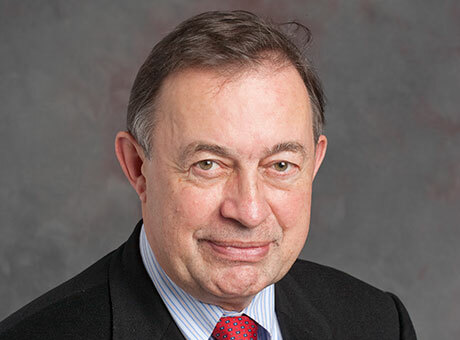 Professor Richard Macrory CBE of UCL Faculty of Laws is retiring after over 40 years as a leading light in the field of environmental law in the UK. Professor Macrory, the first Professor of Environmental Law in the United Kingdom, has been one of the pioneers of environmental law scholarship in the UK and the EU, providing also major public service to broader environmental law practice and policy. He will continue his strong connection with UCL Laws as Emeritus Professor, contributing to the experience of students and enriching our research. After being called to the Bar, Grays Inn, in 1974, Professor Macrory’s diverse career has encompassed academia, private practice, advising the government and environmental campaigning. Professor Macrory joined UCL Laws in 1999, becoming the founding Director of the Centre for Law and the Environment, making important contributions to our undergraduate and postgraduate teaching and our research and standing in the environmental law field. Professor Macrory previously held the position of Director of the Environmental Change Institute, Oxford University, and had taught at Imperial College London. In 2000, Professor Macrory was awarded a CBE for services to the environment and law, and in March 2008 he was made Honorary Queens Counsel. As well as his academic work, and in addition to his membership of Brick Court Chambers, Professor Macrory has held positions with governmental and not for profit organisations. Of his enormous contributions to environmental law in practice, Professor Macrory’s contribution to government policy and practice on environmental regulation, enforcement and sanctions is especially significant. In 2005 Professor Macrory was appointed by the Cabinet Office to lead a review on regulatory sanctions applicable to business generally. The final report, ‘Regulatory Justice – Making Sanctions Effective’, was published in late 2006 and all the recommendations accepted by Government. His core recommendations on civil sanctions and regulatory governance are reflected in Part III Regulatory Enforcement and Sanctions Act 2008. Professor Macrory’s work on environmental courts and tribunals has also been significant. Following on from considerable academic and policy work in the area, in 2011 he was commissioned by Lord Justice Carnwath, Senior President of Tribunals in England and Wales, to report on the potential jurisdiction of the new First Tier Environment Tribunal. Professor Macrory is now a Patron of the UK Environmental Law Association (UKELA), and since September 2016 has been Co-Chair of the UKELA Brexit Task Force, continuing to take a central role in the pressing environmental law issues of the day. ‘What Richard has achieved in his long and varied career is hard to quantify. His remarkable dedication to his field has not only shaped environmental law and policy in the UK, but has rightly led him to become one of the most respected and in demand environmental lawyers in the country. Richard is a valued colleague and friend at UCL Laws, and we look forward to continuing to collaborate with him as an Emeritus Professor in the years to come’.